Concise, timely and accurate, Voice Coil is your one-stop source to stay competitive in the loudspeaker industry! Every month, Voice Coil delivers loudspeaker professionals with the latest in technology and components. 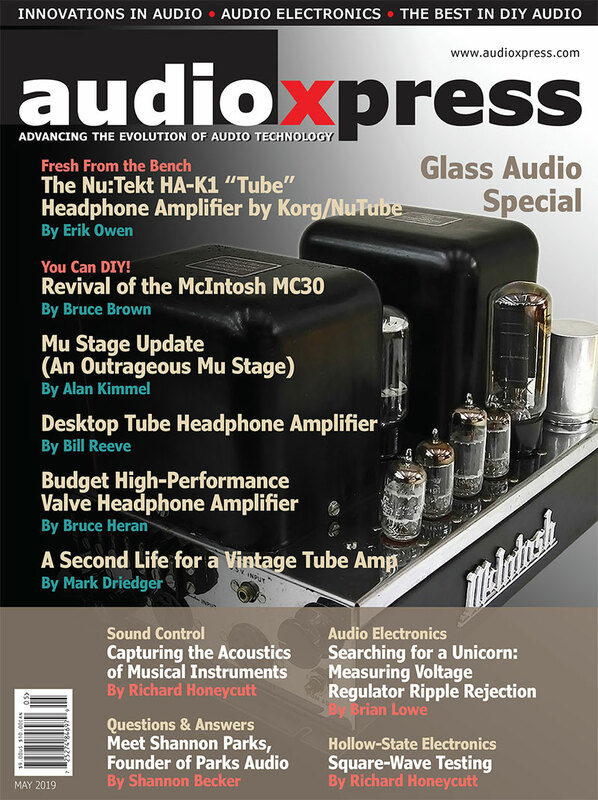 Vance Dickason and other industry experts provide a comprehensive collection of reviews on the loudspeaker products you use every day. 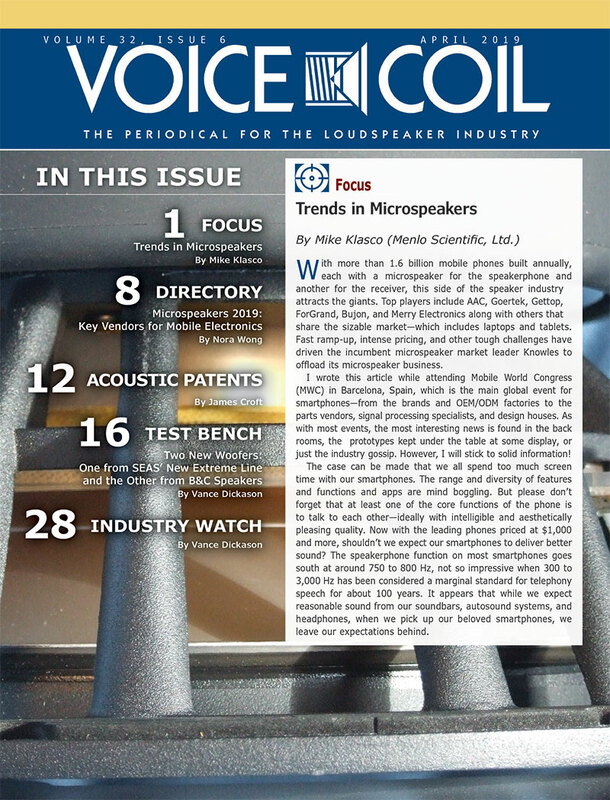 Voice Coil, the periodical for the loudspeaker industry is free for those who qualify! 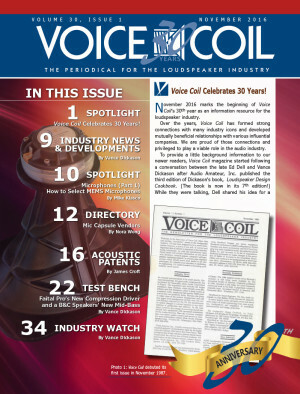 Voice Coil, the periodical for the loudspeaker industry is free for those who qualify! 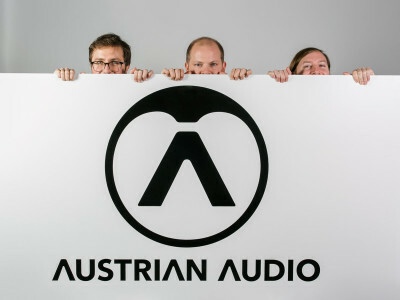 Click here for subscription services. Test Bench is an open forum for OEM driver manufacturers in the loudspeaker industry and all OEMs are invited to submit samples to Voice Coil for inclusion in the monthly Test Bench column. Driver samples can be for use in any sector of the loudspeaker market including transducers for home audio, car audio, pro sound, multi-media or musical instrument applications. 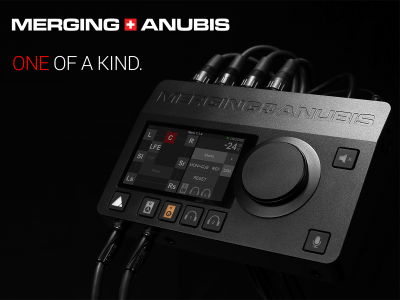 All samples must include any published data on the product, patent information, or any special information necessary to explain the functioning of the transducer. 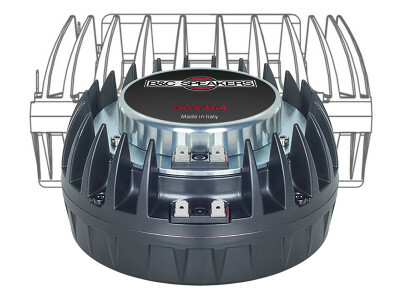 This should include details regarding the various materials used to construct the transducer such as cone material, voice coil former material, and voice coil wire type. 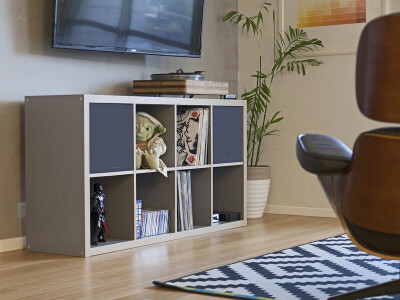 For woofers and midrange drivers, please include the voice coil height, gap height, RMS power handling, and physically measured Mmd (complete cone assembly including the cone, surround, spider, and voice coil with 50% of the spider, surround and lead wires removed).